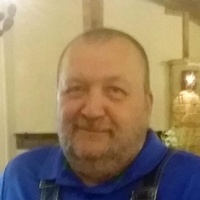 Dearing, KS — Ernest Edward Soard, Jr., age 50, Dearing, Kansas, passed away on Tuesday, June 26, 2018 at Coffeyville Regional Medical Center after a sudden illness. Ed was born September 15, 1967 in Joplin, son of the late Ernest E. Soard, Sr. and Phyllis June Watson Soard. Ed graduated from Parkwood High School in 1985, and served in the United States Army where he served as a light wheeled vehicle mechanic. He returned to the Joplin area and remained in the Reserves, and was a member of the V.F.W. He worked several jobs over the years including truck driver and mechanic before retiring. In addition to his parents, Ed was preceded in death by a sister, Vicky. Survivors include his wife, Linda Benning Soard, whom he married May 9, 2002; his children, Kimberly Soard-Skinner and husband Karl of Joplin, Brayton Murphy of Joplin, David Isaacs of Tulsa, Oklahoma, Amanda Benning and Tommy Benning both of Coffeyville, Kansas; sister, Patricia King and husband David of Wyoming; six grandchildren, Beth Anne, Kelsey, Bailee, Robert, Harper, and Bradley; several nieces, nephews, and cousins. Funeral service will be Monday, July 2, 2018 at 10:00 a.m. in Parker Mortuary Chapel with Father Dan Larimore officiating. Interment will follow in Ozark Memorial Park.